Knowledge base Do you know where your bookings come from? To set up Booking sources in your account, go to Bookings > Booking sources. Setting up booking sources means you can find out where your bookings are coming from, so you can analyse your marketing spend to make sure you are getting best value for money. Whenever you get a booking, it will tell you where it came from at the top of the booking screen. Once you’ve set up your Booking sources, if you’re a PLUS or AGENCY customer, you can go to Bookings > Search bookings then filter by Source to get an idea of how your sources are performing. And, to compare the effectiveness of your sources, go to Statistics > Customer booking sources. There are certain things you can do to ensure you get the correct information from your guests as regards Booking sources. 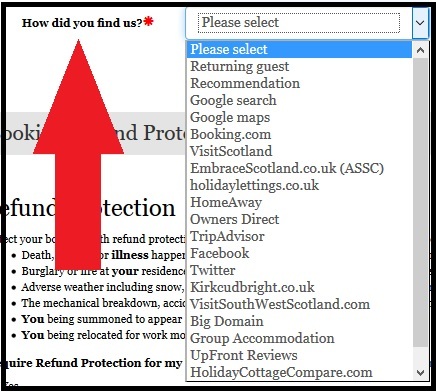 If you look at the top of the image, you can see this booking has been clearly tracked to Premier Cottages, but the guest has selected “Google search” as the booking source (bottom of the screen). If SuperControl was unable to track bookings with Premier Cottages, this customer might have assumed that they were getting no bookings from this channel. As they’ll be paying for membership of Premier Cottages, they could have assumed it wasn’t good value for money and decided to market elsewhere. We wouldn’t suggest removing “Google search” from your list of Booking sources, but make sure you list all your possible sources, so that guests hopefully select the correct one. Many guests will begin their search on Google, which is why they often select it as the source. 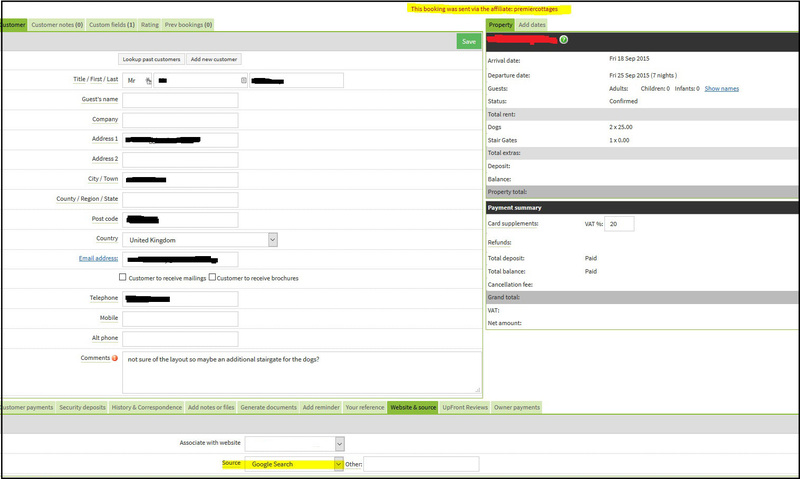 However, you can easily pinpoint the exact source of each booking in your follow-up call to them. As soon as you get a booking, I’m sure most of you probably call your guests to thank them and find out a bit more information from them. This is the perfect time to find out what they were searching for and how they found you, so make sure you ask them. If you have any questions about any of the above, please send us an email. You can find detailed instructions for setting up your Booking sources here.